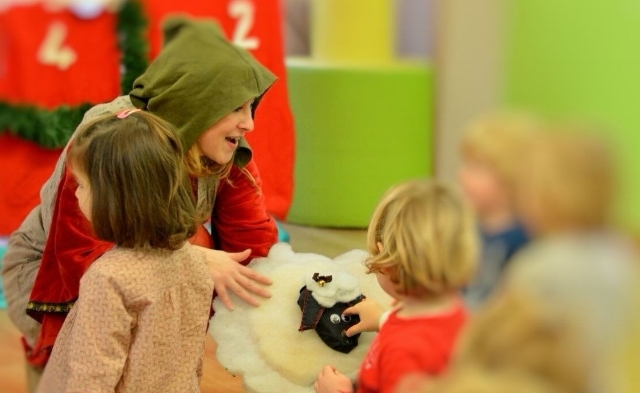 I’ve created and interpreted many shows and storytelling for toddlers and kids, produced by La Foresta di Sherwood. Storytelling with props, puppets, dance and movement introduce kids to significant themes like emotions, inclusion, environmental protection. If you prefer a tailor made event, just drop a line! contattami e ne parleremo! 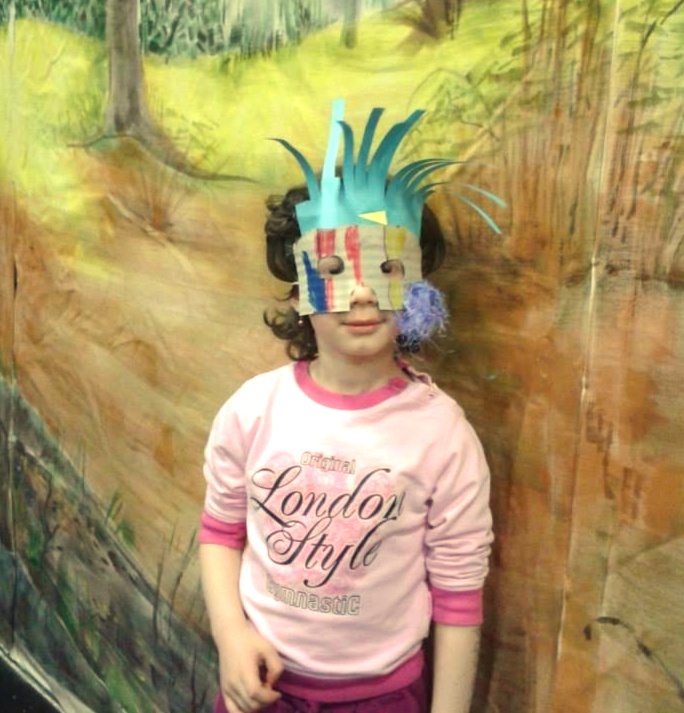 I offer theatre and drama classes both in English and in Italian, with kids from toddler age to high school. I also work with adults, mainly using theatre and dance/creative movement as tools for personal /professional growth. My workshops for companies include sessions on emotional intelligence, leadership styles, non-verbal communication techniques, teambuilding. If you think the arts can add some wow-factor to your team, just get in touch! As a project leader, actress and author I jave contributed to create Roots- exploring origins, where a multitalented international cast uses dance, music, storytelling and singing to talk about how similar we are. If you want to host the show, get in touch with me! Almost every year my special need theatre or dancetherapy groups realize a performance: “Yes we can” puts on stage disabled and non disabled performers; “Tiptoeing through History” stages the stories of 15 senior ladies between 85 and 97 years of age. Let’s talk if you are interested in these experiences! I have recently updated my drama and dancetherapy background with a still ongoing training on the use of storytelling and narration techniques within therapeutic settings. Partnering teams of professionals like psychologists and psychotherapists, I offer one-to-one sessions where storytelling becomes a way to get in touch and make friendship with deep emotional contents, that might be less likely to come up in non-creative, more cognitive settings. The client can therefore first familiarize with the endless possibilities of storytelling, so that we can later move on to using the power of narrative to discover and refresh personal skills, to promote resiliency, to develop more effective learning strategies and coping skills. I mainly work with kids and families, but the technique can be applied to adults as well. My main field of interest is in researching the use of theatre/storytelling techniques to promote emotional and communicational skills in people with high functioning autism. What do mindfulness and the arts have in common? To me, it’s all about awareness, non-judgement, and openness. After ten years of personal practice as a yogini and a meditator, I felt it was time to include these teachings in my way of making art: I applied to Mindful Schools and (California, USA) and got trained as a Mindful Educator. Today, I study, research, practice and do my best to learn about the educational power of mindfulness. Semplicemente Family is the mindfulness program for families where creativity and awareness come together, for a challenging, emotionally rich, gentle practice that includes all the members in the family. I won’t get tired to make it clear: I am an artist that, thanks to her creative work, has found a way to promote change through movement. I am not a psychologist and I give no prescriptions. What I do is just empowering the resources each of us already has. I use dancetherapy – Maria Fux approach – with different target groups: disabled people (mild to severe); integrating dancetherapy and theatre with elderly people affected by mild to severe cognitive impairment; offering dance classes for special need and neurotypical kids together: Maria Fux approach does make a point of providing inclusion through dance and creativity, believing that our limits can only be met gently and successfully by reinforcing our skills and resources first. My dancetherapy final essay focused on the use of dancetherapy with learning disorders. You can now find my dancetherapy group with disabled people at Cooperativa Lambro di Monza. Please feel free to email me for any info on my dancetherapy projects.